One of the benefits of being in the business as long as we have at FS Construction Services is that every client is different and no two jobs are exactly the same. 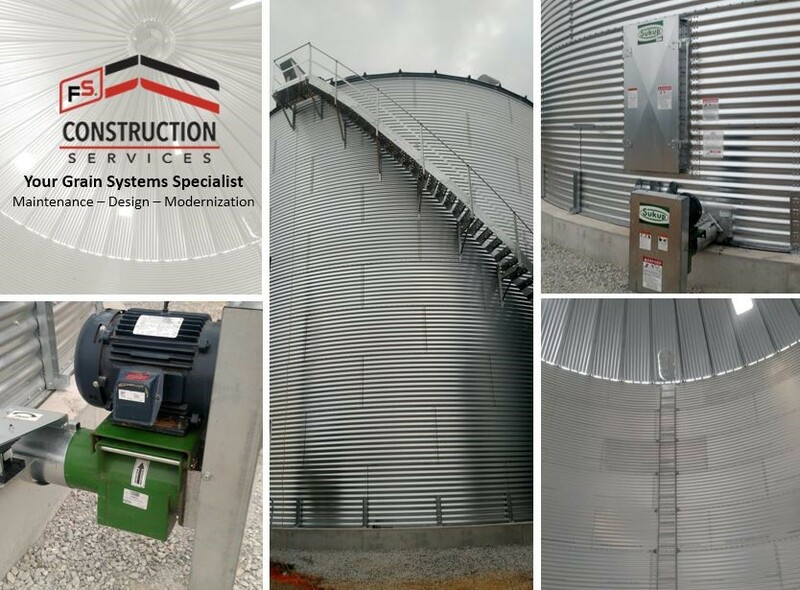 We have built a lot of grain storage bins throughout the years and while there have been many jobs with similar details, there is always something just a little bit different, just a little bit unique, to make that job its very own. Sometimes we don’t do much more than put up a structure, and sometimes we are putting up that structure and filling it with every possible accessory available. From the littlest to the most, each job has its own requirements and we’re here to help our clients find exactly the right pieces to make their set up work. 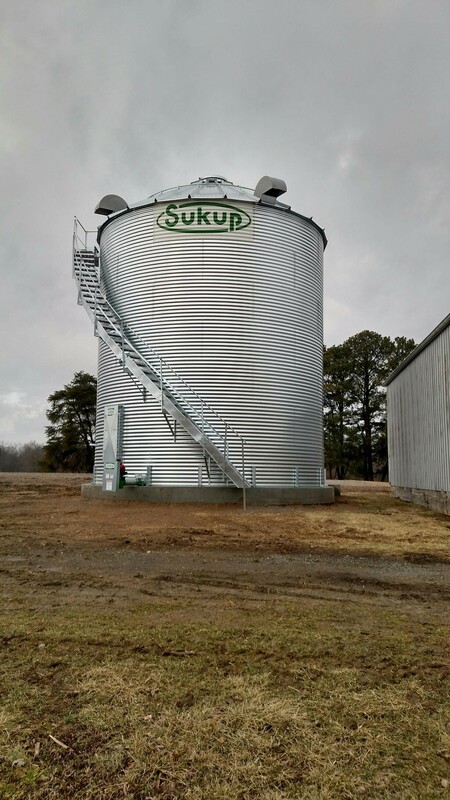 Recently, we got to build a 42’ tall, 10-ring grain bin with a capacity of 47,000 bushels. But in order for it to perform exactly the way our client needed it to, we installed a specific set of accessories to guarantee a satisfied customer. One of the benefits of working with our friends at Sukup is that we’ve been partners for so long, we have a good idea of how their products go together to get the best results. For this project, we installed dual centrifugal 20hp fans for enhanced drying capabilities, a double run conveyor for filling with a shorter auger, a power sweep, a gravity spreader, a 3-phase drive, and stairs wrapping around the outside of the bin for safety. Delivered on schedule and on budget, our client had exactly what they would need going forward for continued success. While it may not have been anything extravagant and may even look like some of our other jobs it was the exact right pieces for this job. At FS Construction Services, we know that the holiday season is an important time of rest and relaxation for many. A time to hopefully unwind and focus on things that aren’t work related. We just wanted to let you know that when the time comes around for you to get back to thinking about all that needs to be done, our team we’ll be here to help. 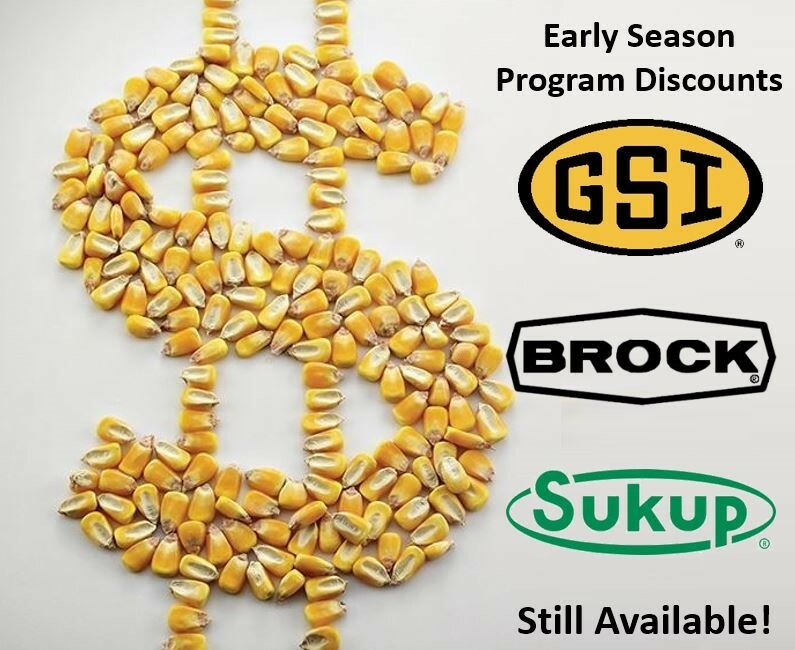 One of the topics to keep top of mind are the multiple preseason discounts available from multiple manufacturers on superior Grain Storage and Handling systems. Our manufacturer partners are currently offering a number of discounts. So if you find yourself in the position where you’d like to get a jump on the next season, let us know. We can help you find the right offer that gets you what you need at the price you want. Additionally, securing your place on our construction calendar early guarantees you’ll have the work done when you need it, and won’t find yourself in a position where you have grain to store and no bin to store it in. We know that life is unexpected and the market can be volatile, so whether you need additional storage for 2019, or you want to be able to store your harvest for as long as needed without it spoiling or rotting, please let us know. From helping determine the right equipment for the job to building a sturdy, dependable structure, our team of construction professionals are happy to work with you on any project. If you are interested in taking advantage of our preseason pricing, feel free to contact Nathan Koester or Justen Kempfer, our FS Construction Services experts, at 866-551-3454. And be sure to check back with us often, we like to let our customers and clients know when there are new deals available. Here we are, at the third and final installment of our FS Construction Service’s preventative maintenance articles. That also means that summer is long gone, and we are now all the way in on harvest season. While we have previously discussed grain drying, storage bin, and bucket elevator maintenance, we are going to finish by going over some general preventative maintenance points. First off, at FS Construction Services our goal is always to help our customers. When it to comes grain systems, there are lots of things that can go wrong or prevent your system from working the way it should. We always suggest, in the event of improperly working or broken equipment, that you give us a call first. There are certain problems and instances where we are able to guide our customers over the phone to help them fix the issue themselves, which saves them both time and money. While we are happy to replace parts and/or equipment, we are happiest with satisfied customers. We have professionals on staff who deal with both mechanical and electrical issues when it comes to grain systems maintenance and support. Regardless of your issue, our goal is to keep any down time to a minimum. For instance, here are a few scenarios we’ve recently encountered. We conduct maintenance on a number of stirring machines made as far back as the 1960s which are still in use, but, unsurprisingly, they’re a little different from the modern machines. However, we are able to both fix and/or retrofit these old machines to get them working like new. Another issue we deal with is covering or overfilling the stirrer with grain. It’s tempting, we know, to try and get as much done in one go as possible, but it can cause some major headaches down the road. So whether you’ve run into one of the issues above, or have had an entirely different set of problems with your grain system, please feel free to reach out to Gateway FS Construction Services. You can give us a call at 866-551-3454, and let our specialists help you find exactly what you are looking for. We look forward to providing you the best customer service experience. Welcome to the second round of FS Construction Service’s preventative maintenance articles. Our team of experts cannot stress enough how, a little maintenance can go a long way when it comes to keeping your systems effective and operational, and our goal is to give you the information you need to keep your equipment performing as expected. 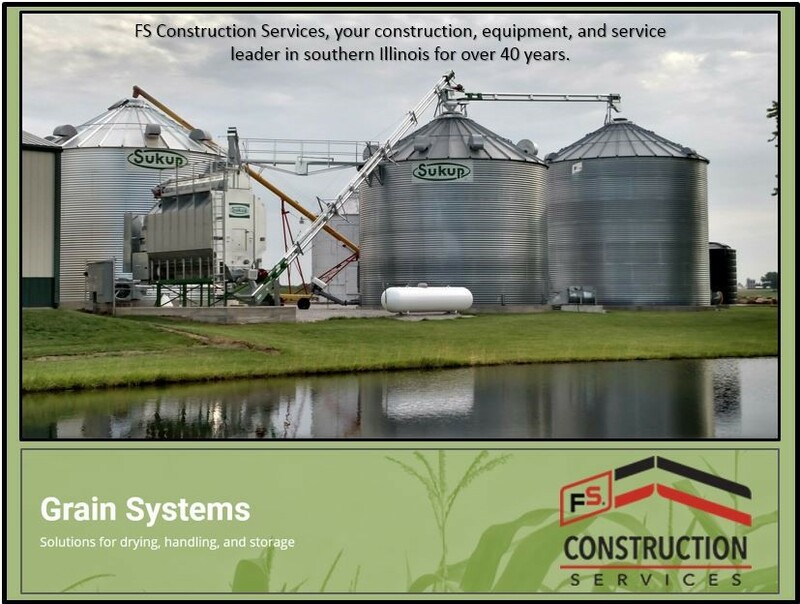 What follows is a description of the service you receive when an FS Grain Systems professional comes out to take your system through our multi point preventative maintenance process. 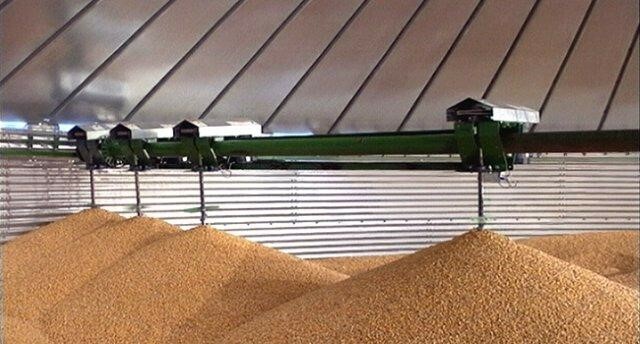 When it comes to grain systems, you need every piece and part working and moving effectively. The sheer volume of material any grain system must move or hold is staggering, and there’s simply no way to recreate those operations without properly working equipment. There are few ways this is more apparent than with bucket elevators. 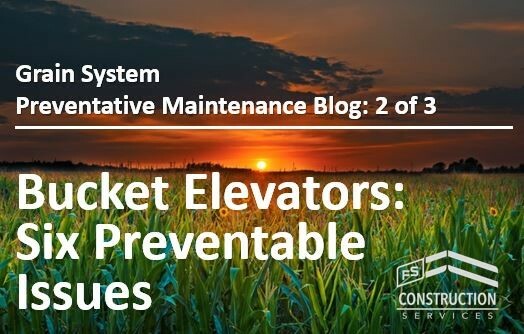 Making sure your bucket elevators are well maintained in the offseason is a great way to prevent future headaches and costly holdups. And, unpleasantly, animals stuck inside the machinery (we previously had a farmer report raccoon damage, so you never know). Has it been a few years since your system has been checked? Scheduling a safety review would be a smart call. Our team is ready to come to your site and work through our checklist of bucket elevator maintenance to ensure your season has fewer hiccups (and raccoons). This season spend less time fixing problems and more time getting work done. If your goal is to have a worry-free harvest reach out to the service professionals at Gateway FS Construction Services and ask about our preventative maintenance services. Or you can always give us a call at 866-551-3454, and let our specialists help you find exactly what you are looking for. We look forward to providing you the best customer service experience. 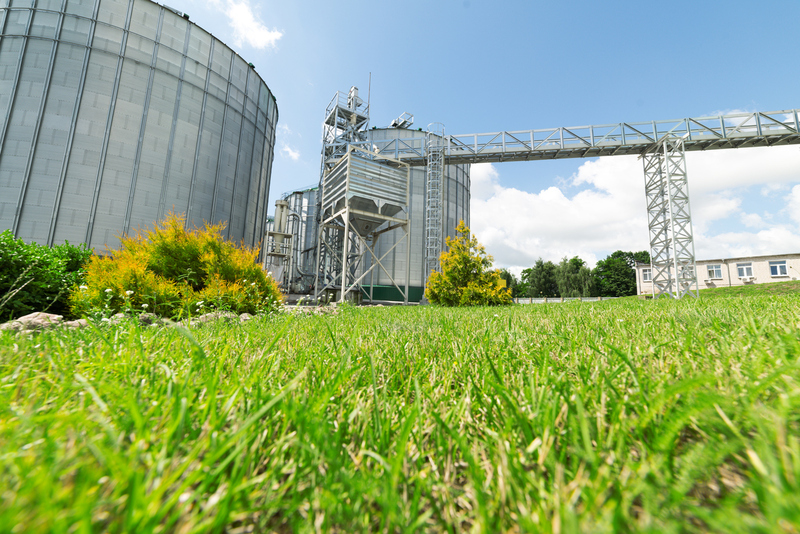 Grain storage, handling, and aeration are on the list of things that are easier said than done. While on the surface, having a big container to store grain sounds simple, the sheer number of small details that go into doing it well is impressive. Ruined seed or even grain bin accidents are often the result of one of these small details not being attended to along the way. At FS Construction Services, we understand how stressful it can be to try and keep every little part of your grain system in check, which is why we are releasing a series of preventative maintenance articles covering both seed and grain systems. Like we said in our seed systems article, a little maintenance can go a long way when it comes to keeping your systems effective and operational, and our goal is to give you the information you need to keep your equipment in the best shape. 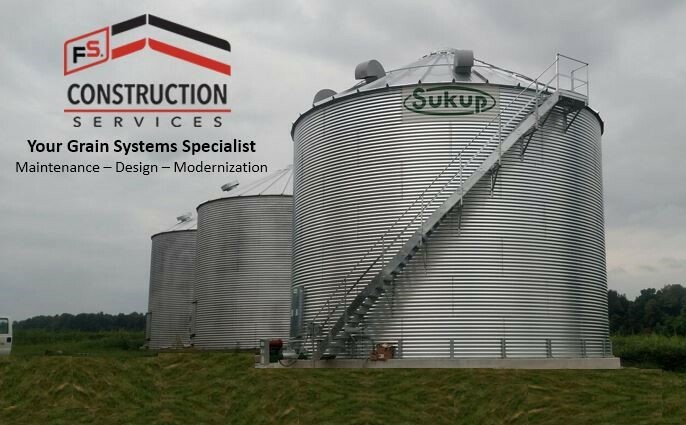 What follows is a description of the service you receive when an FS professional comes out to take your system through the preventative maintenance process for all our grain systems partners, including Sukup, GSI and Hutchinson. The major component of our grain system maintenance comes through the means of a visual inspection. 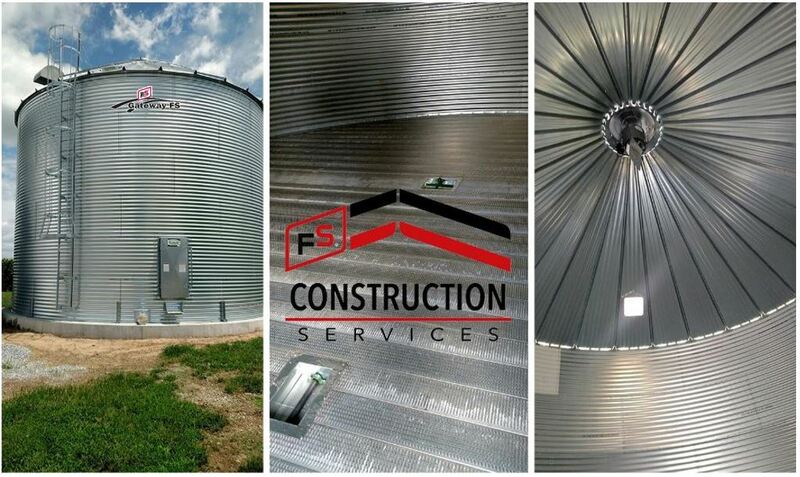 Our FS professional will examine the entire grain bin site and look for things like: rodent damage, a clear burner gun or exit area, rust or corrosion, loose bolts, old grain that needs to be cleaned out, and more. Additionally, we will run circuit tests, test all fans and heaters, and check augers for wear or clogging. As the summer months move quickly on, please feel free to reach out to Gateway FS Construction Services if you are interested in our preventative maintenance services. Or you can always give us a call at 866-551-3454, and let our specialists help you find exactly what you are looking for. We look forward to providing you the best customer service experience.